FORT WORTH, TEXAS—A federal judge today seemed skeptical of arguments that the Affordable Care Act can stand without an effective penalty for the individual mandate. 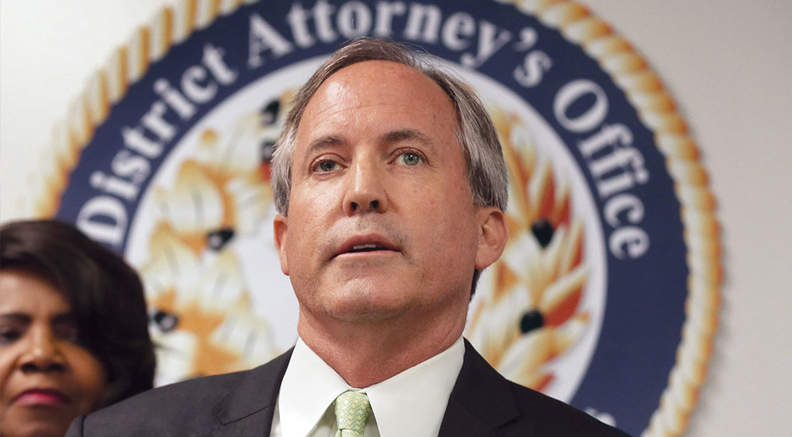 In a half-full Texas courtroom, Democratic state attorneys general Wednesday tried to persuade U.S. District Judge Reed O'Connor that Congress' zeroing out of the tax penalty should not invalidate the entire law. O'Connor, who spent more time probing the argument of Democratic lawyers than that of the GOP state attorneys general who filed the suit to invalidate the law, promised the parties that he would issue a ruling as quickly as possible. O'Connor, in his questions from the bench, cut straight to the so-called severability in the case—whether Congress, when it zeroed out the tax penalty in the 2017 tax overhaul, intended to keep the popular consumer protections in place. "It does seem for the majority of cases, the Supreme Court says to look at the original legislation as enacted," O'Connor said. "Why would I not? Let's assume I don't buy the argument it is still a tax and believe the mandate should fall and I get to severability, why wouldn't I look at those cases?" The ACA contains provisions stating that the individual mandate is "essential to creating effective health insurance markets in which improved health insurance products that are guaranteed issue and do not include coverage of pre-existing conditions can be sold." The Democratic attorneys general, who were forced into defending the law when the Trump administration bowed out, conceded the reconciliation rules Republicans used to pass the 2017 tax law barred Congress from amending or repealing the ACA's statutory language surrounding consumer protections. The plaintiff GOP states, led by Texas Attorney General Ken Paxton, are asking for an injunction against the entire ACA starting in 2019. The U.S. Justice Department, which argued that the individual mandate and consumer protections be tossed but that the rest of the law stand, asked O'Connor to postpone judgment until after the individual market's open-enrollment period so as not to spook insurers. "The last thing we want is for chaos in the market," said Justice Department attorney Brett Schumate. O'Connor gave only cursory treatment to the baseline question of whether the individual mandate without an accompanying penalty could stand as constitutional in light of the Supreme Court's 2012 decision to uphold the ACA through the mandate as a tax. The battle in the Texas courtroom showed that the bitter divide over Obamacare will continue as the midterm elections approach. After last year's failed repeal-and-replace movement, Senate Republicans acknowledged that it is the law, but Republicans at the state level have argued the ACA regulations have distorted their markets after pre-empting state authority. Democrats painted a picture of millions losing coverage and a return to the pre-ACA landscape where people with pre-existing conditions could be denied insurance. "Plaintiffs aren't seeking to maintain the status quo: they are seeking to blow it up," said Neli Palma, deputy attorney general for California. On the question of congressional intent, O'Connor also pressed the Democratic attorneys whether he should consider lawmakers' knowledge of the Supreme Court's 2012 ruling. "If the only saving of the ACA is the Supreme Court's read of the penalty as a tax, and Congress knew that but zeroed out the penalty knowing that it cannot be upheld as a tax—and Congress is presumed to act with knowledge of the Supreme Court's rulings, why isn't that intent?" O'Connor asked. California Deputy Attorney General Nimrod Elias responded that it would be "troubling in itself" if Congress acted in this way knowing that it would create an unconstitutional amendment, but added that lawmakers "presumably knew the severability principle and knew it could survive the challenge." The plaintiffs also pushed against the Justice Department's argument that a preliminary injunction could throw the insurance markets into chaos in 2019. They argued that states could start enacting their own regulations and developing policies outside the ACA requirements. The political implications of the arguments in the Fort Worth courthouse hit Washington, D.C., Wednesday afternoon where senators were engaged in a second day of confirmation hearings for President Donald Trump's Supreme Court nominee, Brett Kavanaugh. Democrats who oppose the nomination have questioned how Kavanaugh would rule should the ACA lawsuit reach the Supreme Court. Sen. Joe Manchin, the West Virginia Democrat whose GOP challenger this election cycle is one of the attorneys general involved in the ACA lawsuit, took to the Senate floor to urge support for a resolution to direct Senate counsel to intervene in the case. Manchin had hoped to include the resolution as an amendment to an appropriations package passed in August, but Senate Republican leadership ultimately rejected it from the legislation.